In spare, understated prose heightened by a keen lyricism, a debut author will take your breath away. A new state, a new city, a new high school. Mike's father has already found a new evangelical church for the family to attend, even if Mike and his plainspoken little sister, Toby, don't want to go. Dad wants Mike to ditch art for sports, to toughen up, but there's something uneasy behind his demands. Then Mike meets Sean, the new kid, and "hey" becomes games of basketball, partnering on a French project, hanging out after school. A night at the beach. The fierce colors of sunrise. But Mike's father is always watching. And so is Victor from school, cell phone in hand. In guarded, Carveresque prose that propels you forward with a sense of stomach-dropping inevitability, Rafi Mittlefehldt tells a wrenching tale of first love and loss that exposes the undercurrents of a tidy suburban world. Heartbreaking and ultimately life-affirming, It Looks Like This is a novel of love and family and forgiveness--not just of others, but of yourself. It Looks Like This looks to be the debut novel of the season. Mike and Sean's discovery of their love for each other is told with such exquisite tenderness, I could not put the book down, even when I knew that something dreadful was going to happen. Despite many obstacles, Mike comes into his own with the help of understanding friends, a few kind adults, a faithful dog, and Toby, the greatest little sister since Phoebe Caulfield. This is an extremely powerful book. --Lesléa Newman, author of October Mourning: A Song for Matthew Shepard It Looks Like This perfectly captures the buzzing static that hits your brain the second you realize you're not the person your parents expect you to be. A painful, poignant story about choosing compassion over anger. --Maggie Thrash, author-illustrator of Honor Girl, a Los Angeles Times Book Prize Finalist The first-person narrative is easy, casual, and calm and indicative of Mike, whose quiet perceptiveness can be misconstrued by outsiders as passivity (no speech marks make the dialogue feel direct and intimate)...A haven of understanding for readers who have felt the foolish hand of ignorance trying to prevent them from knowing, being, and loving who they are. --Kirkus Reviews There is a grace in the slow reconciliation of Mike with his family; hard-won connections feel authentic as Mike's dad slowly thaws long after his mother has adjusted. Mike's wry, wise-beyond-her-years sister, Toby, is a contemporary Phoebe Caulfield, and she bears a lot of social risk to protect her big brother. There are plenty of sunny coming-out stories; this stark reminder that being gay can also still mean getting prayed over at straight camp or being shunned is also, unfortunately, part of the lived experience. It's handled with beauty and care here, and the concluding muted hopefulness is perfectly aligned with the novel's arc. --Bulletin of the Center for Children's Books Debut author Mittlefehldt's direct style of writing cuts to the heart of Mike's struggle to embrace his true self and to take control of his life, bringing freshness to a familiar plot. The story is propelled in small, quiet moments that steadily build toward much-deserved hope and acceptance. --Publishers Weekly It Looks Like This tackles first love, bullying, religion, finding yourself, and forgiveness...Mittlefehldt pens a coming-out story that does not have a happy ending, but gives hope towards a more tolerant future for Mike and his family. --VOYA A moving...examination of the costs of homophobia. 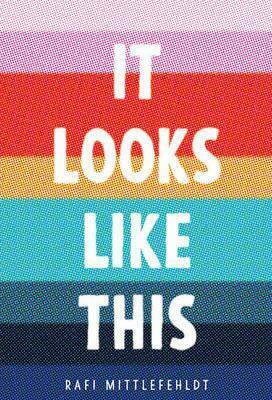 --School Library Journal This first novel is a powerful, sympathetic, and insightful look at what goes through the mind of gay kids when the understanding of their identity hits. The confusion of adolescence is written about with empathy and compassion.